With blood and sword against the Evil! To install you must have at least 4Mb free. 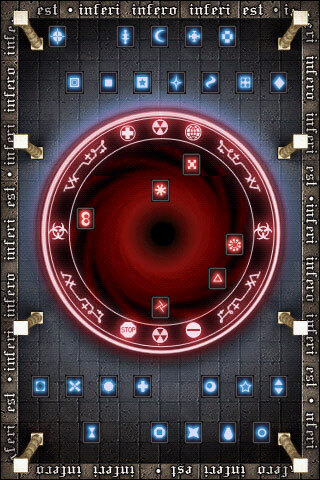 Swap and burst evil creatures to collect spells. 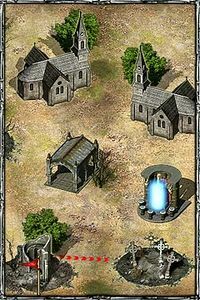 Run thru portals and gather all magic tables to clear Five Counties from devilry! 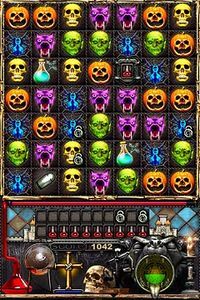 This game is similar to our game Jewellust. 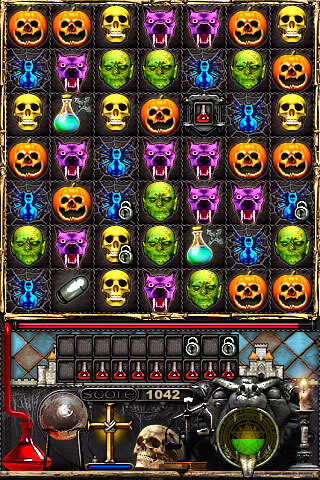 Devilry Huntress has 40 levels, 2 game modes, 9 bonuses, various power-ups, two kind of bonus-games and online score table. 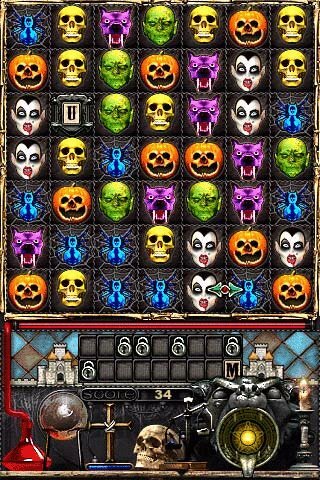 Medieval decorations and humour make this game funny and stylish. In the history of the Five Counties the dark times have come. 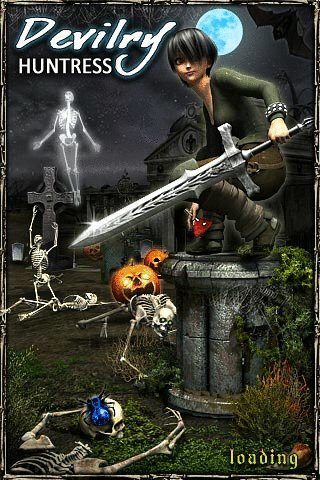 People have fled from their villages, lands have become infected with evil spirits and immortals. 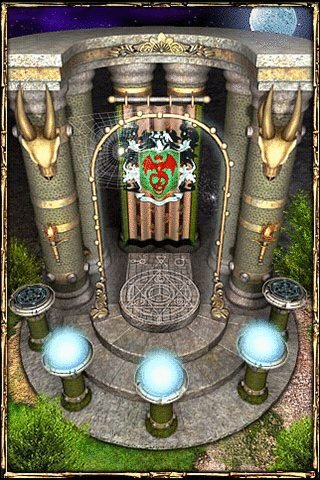 Many exorcists and vampire hunters have vanished in the struggle against the Dark Earl - the lord of the Central county, who has opened infernal gates and has become the master of immortals. A young devilry huntress has been sent to stop the Dark Earl. One old cleric has revealed the secret about the immortals: every "dark nest" holds the magic plate with spells. 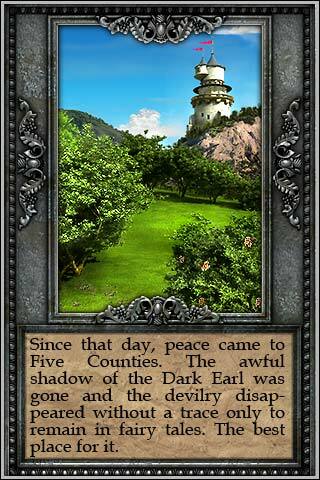 Once created, they can not be destroyed, and the Dark Earl has scattered them over the Five Counties. Existance of "dark nests" depends on those plates. "Collect them all and you will put an end to the Dark Earl's power", - cleric said. Armed by this knowledge, devilry huntress goes to the Counties to clear lands with sacred fire. Exchange signs with each other to destroy a combination of 3 or more creatures of one kind. 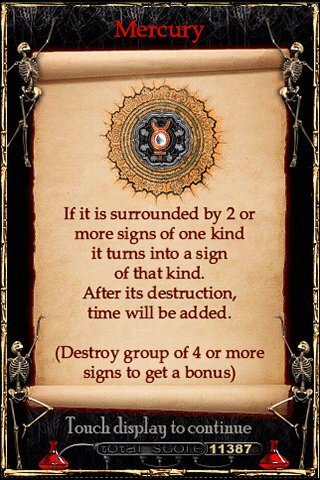 If you’ve burst four or more creatures at once, a bonus sign will appear (see below). 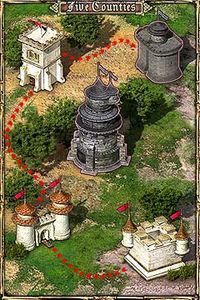 In campaign mode new bonuses become available as your journey goes. To fight against evil you have flask of vampire blood. 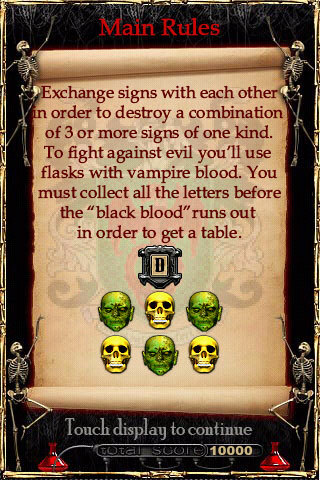 You must collect all the letters to get a table before the "black blood" runs out. You will visit 5 counties. 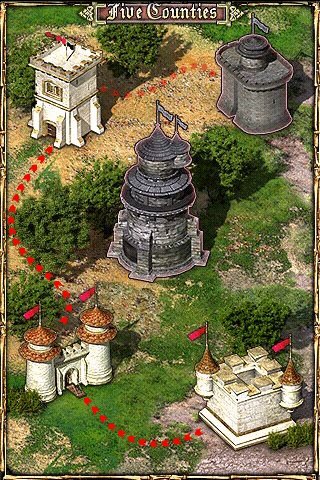 From county to county you will travel through magic portals created by Dark Earl for his awful army, step by step right to his own castle. For each county you have scrolling map where you'll find 8 "dark nests". Some of them own magic tables, others do not. ...At last you are in a heart of the Earl’s sanctuary. You have all the magic tables with spells. Now you have to put them together to seal up an infernal gateway from which the Earl gets his power upon dead. But you need only 20 of 30 existing spells. Drag them into the magic circle - one by one. Wrong table will throw away one spell from circle and you will have to try again and again. Don’t give up, future of Five Counties depends on you! Rules are the same, but your aim is to get as much score points as possible. Consider Survival Mode as fight with endless nest. When "black blood" becomes out, your friend - the old cleric - carries your by his white magic to the safe place, where you can prepare for the next battle. Each burst creature gives you some extra game time. Gradually new creatures and bonuses become available and the time reward decreases a little. Defensive Pentagram is available after 300 points. You can use it or wait until it reaches a higher level (Median and then Senior). A green stripe over Pentagram displays its progress. Instead of spell letters you may collect little blood flasks. When you get 20 of them you receive three minutes of extra time and 500 game points. 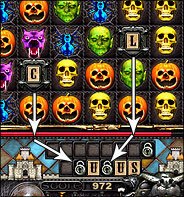 Using ONLINE SCORES button from main menu you can see your own score in online rate table. When you see rate table on your phone by pressing ONLINE SCORES button (not from PC or direct link) you will see your score highlighted. Another difference is that from your phone you can see your score even if you are on place after 50. If you see rate table from direct link you'll see only first 50 places. Mercury: If it is surrounded by 2 ore more signs of one kind it turns into a sign of that kind. After its destruction some time will be added. Iron: Turns sign into paralizer. When it is destroyed screen will be stiffen. During several seconds you can freely exchange signs of any kind. Magnesium: Causes chain reaction: when this sign is destroyed all signs of this kind will be destroyed as well. Silver: When activated creates three random bonuses. It becomes available when a blue stripe is full and the Cross picture starts blinking. You can use the Cross to destroy any sign on the field. 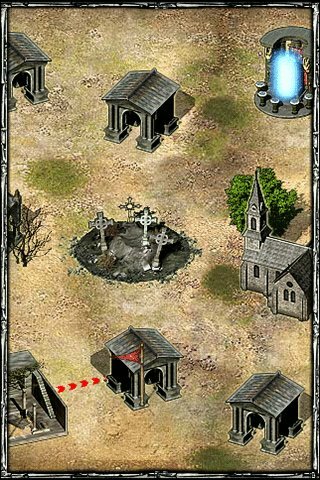 You will see that Defensive Pentagrams in skilful hands become menacing weapon! 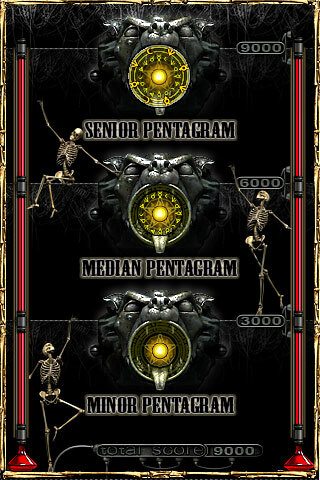 On your way you will learn to use Pentagrams of three types (depending on your score). Using of any Pentagram takes much willpower and therefore you can use it rarely. So be wise and don't waste it on trifles!